Telltale really have their work cut out for them by following up the much-loved Walking Dead episodic series that had one of the most involving stories in gaming. Sure, it often felt like you were just triggering cutscenes, but the interactions between characters made for a uniquely compelling experience. So can they do it again with a new brand, or was Walking Dead a fluke after their previous misfires with Back to the Future and Jurassic Park? 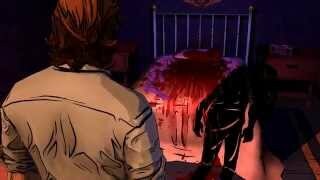 The Wolf Among Us is based on the ‘Fables’ comic book series by Bill Willingham. 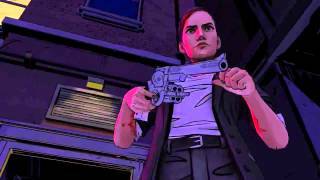 Set in 1980’s New York, you play as Bigby Wolf, the Sherriff of a district of the city known as Fable Town. Cast your minds back top all those childhood stories of fables like Snow White, Little Red Riding Hood and Cinderella and now imagine all those characters were real. All of these characters, some of whom are centuries old, had to leave their homelands and are trying to make a new life in New York. Those that don’t have a human appearance (think Toad and the Three Little Pigs) must pay for a Glamour, an expensive spell that provides a temporary human appearance. It’s the only way they can leave the house without facing the wrath of the original Big Bad Wolf, you. The backbone of the story is a murder mystery with you needing to interrogate suspects and make snap decisions about what line of questioning to take, or at several points, decide which suspect to chase. Making the wrong choice or heading to one area first can have direct effects on the story and change who lives and dies. It’s impossible to go into much detail without ruining even the first episode, so I’m going to avoid spoilers. The fresh -and very dark- take on many familiar characters is a revelation though, and I imagine many gamers will be keen to check out Willingham’s comics after playing this. Take the Woodsman, once famed for saving Little Red Riding Hood, now a lonely drunk with a temper towards prostitutes. Georgie Porgie is a pimp with a Yorkshire accent. Tweedle Dum and Tweedle Dee are hired goons and so on. There are a few light-hearted moments too, such as Colin the pig crashing on Bigby’s sofa, using the fact the wolf blew his house down as guilt-tripping leverage. Visually the game is excellent throughout. Telltale hasn’t attempted to animate the visuals from the comics, instead they’ve gone for their own style and the art direction from David Bogan is superb. There’s a distinct noir feel to the night scenes, but they favour lots of purples and blues, giving New York a much needed makeover in the video gaming world. Facial expressions are also surprisingly deep despite their comic-book style designs; subtle eye and lip movements particularly impress. The voice acting is also suitably impressive, with a collection of New York and further afield accents proving to be a great match for many of the characters. Expect to hear a few familiar tones from the Walking Dead games too. The music is very subtle, but there’s definitely something of a Silent Hill 2 vibe going on, adding just enough of a mysterious edge to scenes without losing focus. As we’ve come to expect from Telltale, the game was released episodically, with lengthy gaps inbetween. I wouldn’t spend six weeks between episodes of a TV show, or chapters of a book, so I’m certainly not going to wait that long for a game. I waited until the final episode was released before diving in. In order to kind of respect the way the developers intended the game to be played, I put half a day between each episode to absorb each twist and reflect on clues and choices made, which turned out to be a hugely enjoyable way to play it (apart from all the waiting). I’d have gone nuts waiting as long as those of you waiting for each individual episode’s release. I’m currently applying the same tactic to The Walking Dead Season 2. Given the game’s style, comparisons to The Walking Dead are of course inevitable, but there’s plenty of evidence that Telltale has tweaked the experience to make a leaner game with a far superior pacing. Cast your mind back to WD1 scenes like interviewing everyone at the motel, or searching for items during the day at the farm. Talk about drawn out and dull, and why couldn’t we at least make Lee run? The Wolf Among Us is much improved though. There are no dull scenes to pad out the runtime and every conversation helps to flesh out characters or provide information for your investigation. The dialogue choices do a better job of matching your intentions than the sometimes misleading suggestions offered before. You’ll really care about choices too as the feeling an investigation is getting away from you ensures you pay attention to every little thing. Crime scenes are usually confined to one room, meaning they’re less cumbersome to explore. This also means the game is a little shorter, with the first episode being the longest at two hours and the remaining ones clocking in between 75 and 90 minutes, but you’ll never be bored. This is a game you’ll want to play twice though, probably by making contrasting decisions throughout. Some of these will lead to new locations and new dialogue. But the illusion of choice is slightly damaged by a second playthrough when some contrasting decisions ultimately put you on the same path or are less about consequences and more about people’s feelings towards you. However, experiencing some scenes from a now informed angle allows you to view them differently or keep an eye out for telling evidence. A large concern again for a Telltale game is the technical gremlins that became impossible to ignore on my second playthrough, although the first one was fine. One crash at the end of an episode forced me to skip a chunk of gameplay and just load the next chapter, despite multiple reloads, reinstallation and opting for different choices to try and fix it. Just like the Walking Dead games though, some users may never experience such game-breaking crashes. Otherwise, the game is much smoother than WD, with less pausing or juddering during QTE sequence transitions, although pressing the start button still feels like you’re pushing your luck as the game eventually lurches to the pause menu. The odd bit of slowdown is workable, although you have to wonder why Telltale can’t make this a smooth experience given that the game is little more than cutscenes stitched together by a few menus (a crude but fair analysis I think). The more severe crashes are less acceptable though and knowing the studio’s history, I imagine they won’t be patched anytime soon. 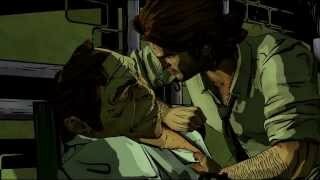 But with such an enjoyable game bursting through the technical issues, it’s impossible not to recommend The Wolf Among Us. Packed with memorable characters and a unique visual style, there’s no denying Telltale have forged another winner that leaves us desperately wanting another season. Easily Telltale's best looking game yet. The modern noir purples and blues paint New York in a unique image and the characters have a rich layer of detail despite the graphic novel stylings. A smooth streamlined experience compared to Walking Dead, with less painful exploring as crime scenes are much tighter. Action is QTE heavy, but it’s the dialogue and investigation choices that really stand out. A fantastic murder mystery that is Telltale’s most involving title yet thanks to the weight of importance you feel behind your decisions. The reimagining of classic fables as modern-day characters is an inspiration too. Overall, there’s less juddering than The Walking Dead, but one playthrough was derailed by a bug that forced me to skip forwards to the next episode. Telltale really need a new QA team. Despite those trademark Telltale technical glitches, The Wolf Among Us is an essential purchase and exceeds the studios’ previous efforts in gameplay, visuals and voice acting. The impact of choices you make in interrogations, conversations and crime scene investigations will keep you hooked right until the end.